Do you have a city recycling bin for items like newspapers and cardboard? One item that you may add to this bin on a regular basis is toilet paper rolls. 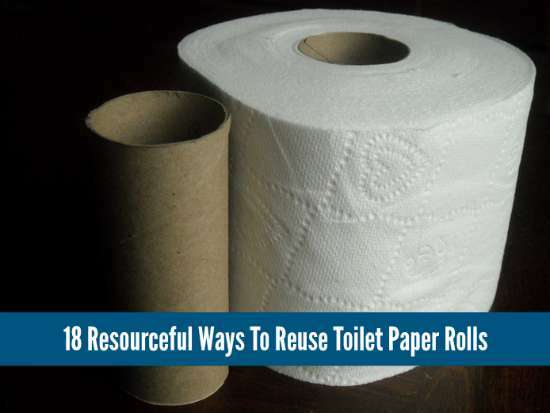 However, you may be surprised to learn there are a lot of ways to reuse toilet paper rolls in your home. If you grow various types of plants at home, then one of the best ways to reuse toilet paper holders is to start seeds. Cardboard is biodegradable and means you can plant your seedlings in your garden or in a container on a deck or patio. Another way to reuse toilet paper holders is to start a fire. Simply put some paper inside a roll and then add a few drops of starter fluid. This is perfect to start a fire for a bonfire or when cooking meals out in nature. These items are also perfect to use for a lot of craft projects.